In large bowl, combine molasses, oil, yogurt and egg, and hand beat until smooth. Slowly fold in flour, oats, carrots, applesauce, wheat germ, dry milk, cinnamon, baking powder and soda until blended. Add raisins, protein powder, and walnuts if desired. 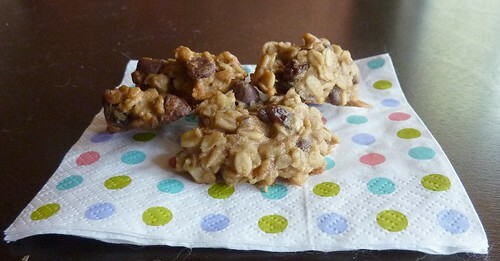 Drop by slightly rounded tablespoonfulls onto cookie sheets. Bake 12-15 minutes, or until firm in the middle to the touch. Cool on racks.